Latest print by Los Angeles based street artist, Dave Kinsey titled “Capital Punishment”. His use of colors, distressed textures, and varying brush strokes creates a composition that evokes a great deal of emotion and creates a strong sense of movement with great tension. 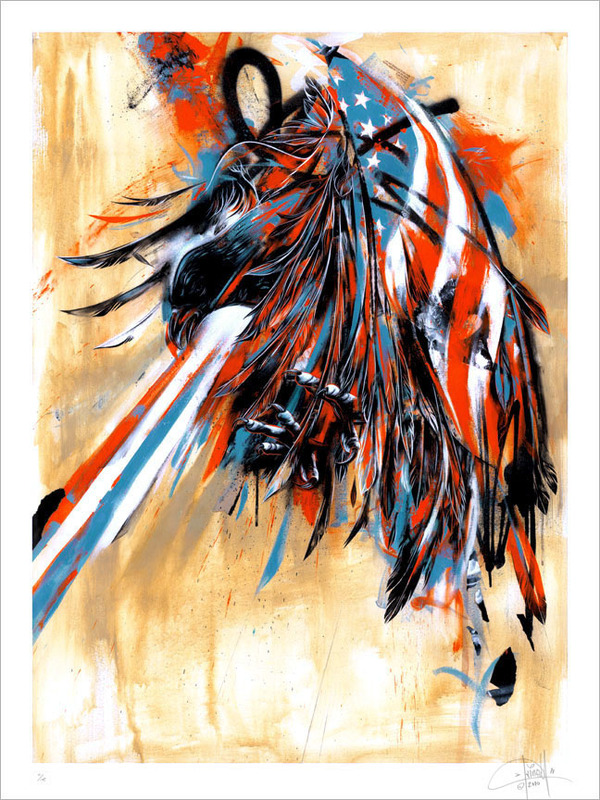 This edition of 150 prints sold out within the first couple hours Kinsey put it on sale through his own store called Black Market Gallery, www.blkmrktgallery.com. Kinsey’s last print he posted during the holidays also sold out in the first hour… Dave is straight killin’ it.